This probably isn't a very exciting review that I have for you today- You probably all have seen or tried this product before, but it has seriously been a holy grail product for me recently, so I thought I would do my own little write-up on it for those of you who may not have tried it. The lip scrub comes in a little glass jar that holds 25 grams of product, which will last you a long time. As you can see, mine still has a lot left inside and I have had it since Christmas. 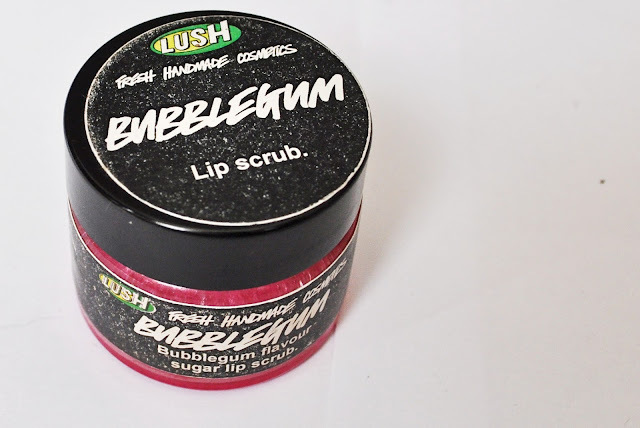 There is only a handful of ingredients in the scrub, it is essentially just a pot of castor sugar with colouring and flavouring, which is the reason why a lot of people (including myself at first) would say that this is overpriced for what it is. It is quite expensive for little jar of sugar, but now that I have it I would say that it is worth it; the pot is handy for carrying it around in your bag, it will last you ages, and it smells and tastes delish! The smell and the taste of the product is exactly like bubblegum, very sickly sweet and hard to resist just eating! To use the scrub, you just take a little bit of product on a (clean) finger and rub it gently in to your lips to exfoliate off all the dead skin cells. You can then either lick off the product as it is completely edible, or use a tissue to wipe it off. It is quite abrasive and can leave your lips feeling sore if used too often, so I choose just to use it every morning and occasionally in the evening before I go to bed aswell. I have been loving using this product lately. I don't know why, but my lips have been really chapped and dry recently, and this is great at keeping them in good condition, paired with my Carmex lip balm. The Bubblegum Lip Scrub retails at £4.95, which yes, is dear for a small pot of sugar, but in my opinion completely worth it. As well as Bubblegum, it comes in two other flavours; chocolate (Sweet Lips) and mint chocolate (Mint Julips). 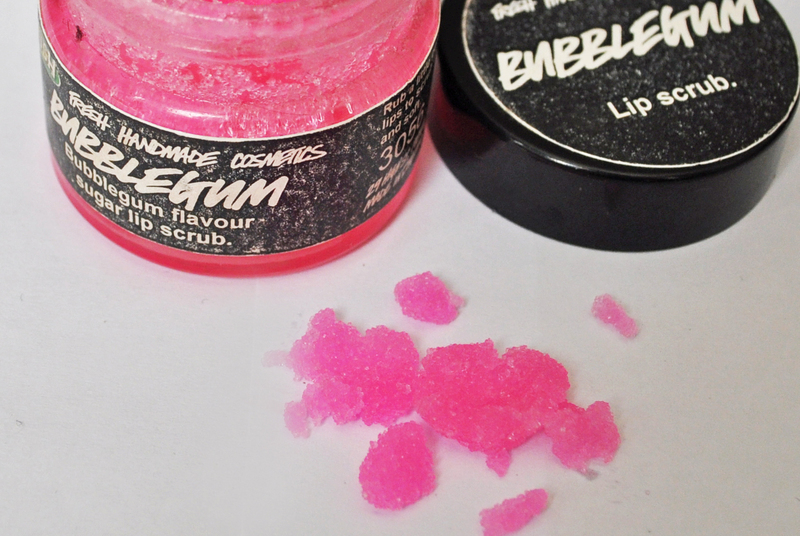 Have you tried this or any other lip scrubs? Oh it looks yummy and usefull! I really want to buy it right now! eek, i absolutely love this too! I'm seriously considering getting this. I've tried so many different things because I really suffer with dry lips and have a bad habit of picking them. I love lipsticks but they can look nasty with dry lips so I might have to invest in this! It's not as expensive as some of the high end options at least! I've always wanted to try it. I love this! The smell is divine and it tastes good. What more could you want?! I suffer from really dry lips and never seem to find something to cure it. This looks great, and i can never resist a smelly lip product! Is it wrong that I want to buy it simply because of the colour? I'm a sucker for anything hot pink! Sara Happ is my lip scrub of choice! I have the mint julips one and I love it! I bought some of this yesterday! It's amazing, I love the smell and taste (oops). The price didn't mind me because you really do only need a tiny bit each time. I keep seeing this in lush and I really want to buy it. It looks amazing! 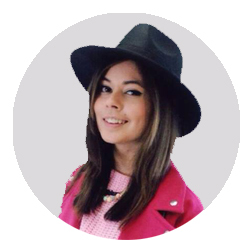 Review: John Frieda Frizz-Ease Range. Review: E.V.A Unbreakable Hair Repairing Mask. 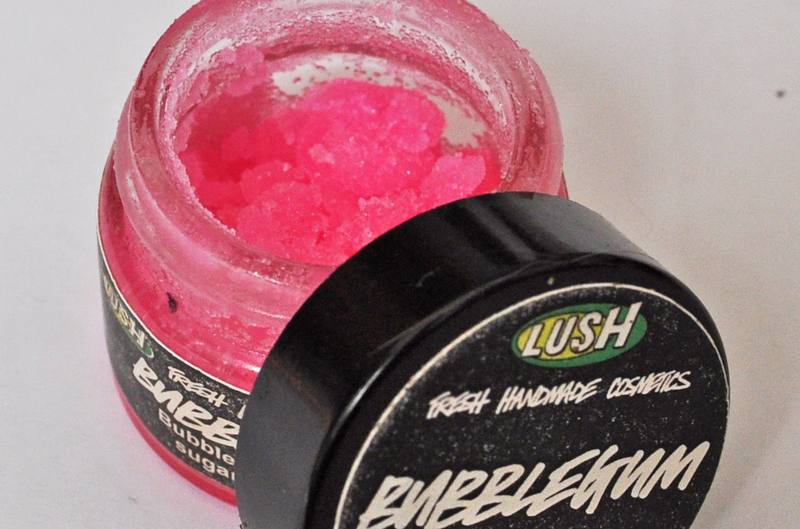 Review: LUSH Amandopondo Bubble Bar. Mini Beauty Haul: Lush, Superdrug, TK Maxx. Wednesday Wishlist #16 Birthday Edition!